Dude! I mean, dude! It’s Kix! 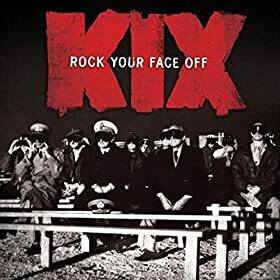 And Christ, but I’m old, as the reunited Kix release their first studio album in two decades. Now, they were always in the second division of the party metal bands that used to rule the world before they were wiped out with a shotgun blast. But they knew their way round a party tune, and with the original lineup almost back together (only lacking a bass guitarist, who happened to be a major songwriter), this ended up being a real treat. The nearest they came to a hit was the big ballad, ‘Don’t Close Your Eyes’, but if you ever clapped ears on ‘Cold Shower’ down your local rock disco, you knew they had the chops.But now they’re back, and it’s like the last 30 years never happened as they blast through a bunch of glam fuelled mucky tunes like ‘Rollin’ In Honey’, the AC/DC soundalike ‘Dirty Girls’ and ‘Mean Miss Adventure’. It’s a record that has no business being this good, but my word, it certainly is. 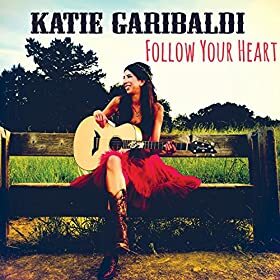 Time for some country music now, and the seventh album from Katie Garibaldi. And it’s really rather good. Of course, nowadays we have to call it Americana because otherwise the cool kids won’t like it, but I know a country album when I hear one. Ms Garibaldi has a very engaging voice, and knows here way around a melody, so when the two things combine with a good song, as they do on numbers such as ‘Make Them Go Away’, Lock The Door, Lose The Key’ and ‘Close, Close, Close’, then it’s a real treat. Some of the lesser songs are fairly interchangeable, but there is a warmth and humanity to the songs and the performance that really draws you in, making this an album that you will return to over and over again. 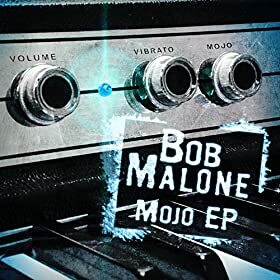 Some roots ‘n’ roll now from Bob Malone. To my shame, I have to say “who he” which, considering this is a taster for his seventh album, is a bit shameful. He’s been earning a crust playing with John Fogerty from Creedence Clearwater Revival, and it’s unsurprising when you listen to the music that Mr Malone performs himself, as these well crafted, rootsy tunes can draw a line back to early CCR, with it’s blues, country and rock pick and mix. He’s tapped into the Fogerty band for some of his supporting musicians, and they cook up a fine storm on songs like ‘Certain Distance’ and ‘Hard Times’. His no nonsense voice is perfect for the material he’s performing, although I could have lived without the Ray Charles tune. Otherwise, this does what it needs to do, which is make you want to hear more. Job done. Bob arrives in the UK for the Colne Festival on 25th August and will be playing solo shows in September, so head out to one of his them if you can. 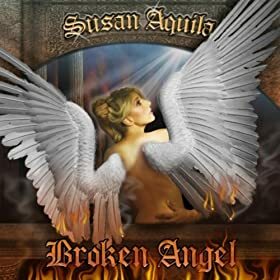 Things are getting a bit progtastic now, with the arrival of singer and electric violinist Susan Aquila. She’s been around the block a few times, performing with the likes of (deep breath) Paul McCartney, Billy Joel, Elton John, Metallica, Whitney Houston, Britney Spears, Steven Tyler, Robert Plant, Alicia Keys, John Mayer, Tony Bennett, Andrea Bocelli, K.D. Lang, Josh Groban, Barry Manilow, Michael Buble, Deep Purple, Johnny Mathis, and the Trans-Siberian Orchestra. But this is her solo debut. Musically, the performers are excellent, which makes up for some of the vocals, but a wee bit of quality control could well have pushed this up the ladder.